There are so many positive reasons why you should donate your time or money. We can often fall into patterns that make our days blur together. It can become overwhelming to even think about running an errand or completing a chore. But, taking the time to give back to others can be a great way to do something beneficial for yourself while also helping others. When work, or life in general, gets a little crazy, taking a moment to help someone else has many different, unexpected benefits. Whether you donate your time or money, you are very likely to feel great afterward. The act of giving is selfless and can lead to a feeling of gratification. Receiving recognition from others for our actions directly affect our self-esteem. Generosity has a positive impact on your mental state as it leaves you feeling more relaxed and in tune with yourself and the world around you. Another positive effect of donating is an improved mood after completing the action. With better self-esteem comes a better outlook and mood. Researchers have even found that voluntarily donating money activates a positive reaction in the brain. Another study found that people who give are happier than those who don’t. Giving has been scientifically proven to be beneficial for the donor on multiple occasions. Feeling constant stress is known to have adverse effects on the mind and body. It can lead to serious health issues that can hinder your quality of life. Donating is linked to reducing stress and putting people in a calmer and happier state. Having a relaxed and stress-free mindset leads to decreased stress levels and an increased life expectancy. The most obvious benefit of giving back is helping those who need it the most. When donating your time by volunteering with a large organization, or just in your local community, you get to see the positive impact that your actions have. Even if you only donate some spare change, your contributions will have an impact on others, and yourself. 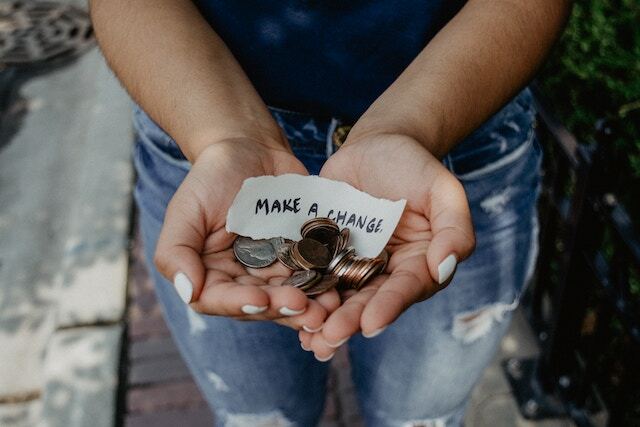 It can be tough to choose an organization or cause to donate to, but once the action of giving is completed, you can see why it is important and beneficial to all parties involved. Rachel Ambats is an Attorney at Law who has been working as a lawyer for over 10 years. She has dedicated her career to helping children and their families. She loves giving back and traveling.